BERLIN: Ukraine President Petro Poroshenko accused Russia’s Vladimir Putin of seeking to annex his entire country and called in interviews with German media for Chancellor Angela Merkel to come to Kiev’s aid in the crisis. Russia seized three Ukrainian navy ships and their crews on Sunday near the Crimean peninsula, which Moscow annexed in 2014, over what it said was their illegal entry into Russian waters — a charge Ukraine strongly refutes. In interviews with Germany’s Bild newspaper and the Funke newspaper group on Thursday, Poroshenko rejected Russia’s charge that the vessels’ entry into the Azov Sea — a body of water shared by Ukraine and Russia on which the Ukrainian ports of Mariupol and Berdyansk sit — was a provocation. Putin wants the old Russian empire back. Crimea, Donbass, the whole country. As Russian Tsar, as he sees himself, his empire can’t function without Ukraine. He sees us as his colony. “Putin wants the old Russian empire back,” he said. “Crimea, Donbass, the whole country. As Russian Tsar, as he sees himself, his empire can’t function without Ukraine. 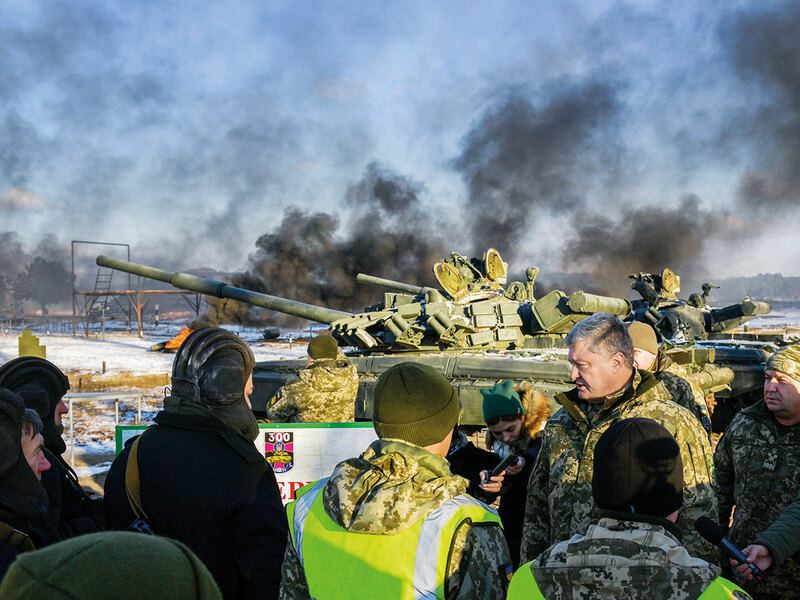 He sees us as his colony.” The seizure of the navy vessels drove tensions to their highest since 2015, when Moscow-backed rebels rose against the Kiev government in the eastern Donbass region, sparking a war that has killed tens of thousands. “We need a strong, resolute and clear reaction to Russia’s aggressive behaviour,” he told Funke. “That also means stopping the Nord Stream 2 gas pipeline project.” Germany regards the pipeline, which is being built by Russian state-owned energy company Gazprom, as a private investment. But Merkel recently acknowledged its “political dimensions” and said Ukraine must continue to be a conduit for Russian gas sold to western Europe.